Discover the pleasure of panoramic views of lake, forest and mountain from the back of a sturdy Connemara Pony or Irish Sport Horse at Ashford Equestrian Centre, located 5 minutes walk from Michaeleen’s Manor B&B. The Ashford Castle Estate, once home to the Guinness family, plays host to underground rivers, caves, castles, towers, abbeys and ringforts which can all be discovered on horseback. 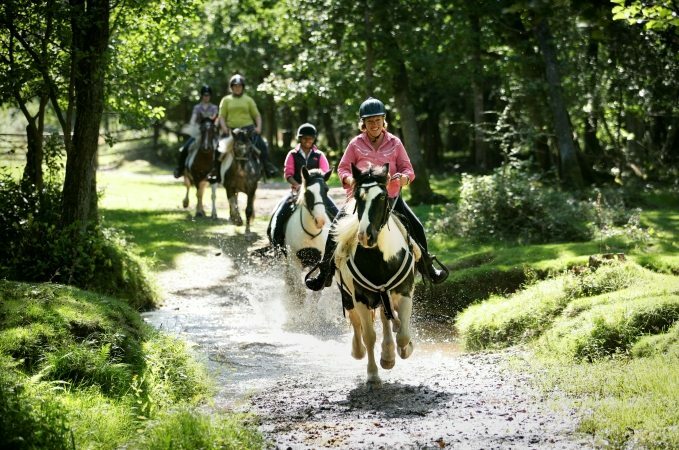 The trail rides are through a 3000 acre forest steeped in history and heritage along paths and quiet laneways between Lough Corrib and Lough Mask, with beautiful views of the lakes and the Connemara Mountains.